In a move that left many gamers scratching their heads, Nintendo released the 2DS, a portable gaming system that removes the glasses-free 3D screen and clamshell design for which the console is known. It’s a big change, as all but one of Nintendo’s recent handheld consoles have featured a hinge (the one exception being the GameBoy Micro). Gamers were left wondering who this console is for and why Nintendo made a non-3D console which is obviously a hassle to bring around? We’ve had the chance to play with the Nintendo 2DS for about a week now, and we have the answer to all of these questions and more. Best of all, we’re giving this Nintendo 2DS with a copy of Pokemon X away to one lucky reader! Keep reading to the bottom of the page to find out exactly how to enter for a chance to take this portable gaming system home for yourself. The new Nintendo 2DS is a portable handheld gaming console clearly aimed towards younger gamers, as removing the clamshell design definitely extends durability without the hinges, which easily snapped. That being said, children are not the only ones who can enjoy what the Nintendo 2DS brings to the table. Nintendo managed to get the price of the 2DS down to $129. Meanwhile, the 3DS XL comes in at $199, and the original Nintendo 3DS features a $169 price tag. Sony’s PlayStation Vita has the same $199 price as the 3DS XL. So as far as affordable handheld gaming devices go, Nintendo certainly offers the best value with the 2DS, especially for gamers who are not interested in the 3D screen technology to begin with. The Nintendo 2DS comes in two different colors, but the options vary slightly depending on where in the world you are located. In the US, we get black with blue trim (Electric Blue) and black with red trim (Crimson Red). In Europe, the Electric Blue option is offered as well, but instead of the Crimson Red, they get a white version with red trim. Personally, I think the red and white color scheme looks way better than black and red, but alas, I am in the US, so we went with the Crimson Red model. The package for the Nintendo 2DS is quite nice. It’s small, and no space is wasted. Upon removing the device from the box, I was initially surprised by the lack of SD card, but it turns out Nintendo ships it with the memory card already in the device, so keep that in mind when you crack it open for the first time. Besides the console and the memory card, a wall charger, the cards for the AR games, and the necessary documentation are included. The stylus is also packaged, and like the SD card, it’s already placed in its slot in the 2DS. At first glance, I was impressed by the 2DS. The weight feels good, it looks beautiful, and it comes with that Nintendo quality that you expect from any piece of hardware made by the Japanese company. Just on looks, the 2DS is a beautiful piece of gaming hardware. The slight tapering from the top of the console to the bottom gives it a stylish wedge shape that looks quite slick. Despite the lack of a hinge, the screen size is exactly the same as the original 3DS. Of course, the screens look tiny next to the 3DS XL Nintendo 3DS XL Review and Giveaway Nintendo 3DS XL Review and Giveaway Among all the big names in gaming consoles, Nintendo is definitely among the top favorites. As a '90s kid, I associate much of my childhood with playing Nintendo games. I remember growing up with the... Read More , but that’s the be expected. A big change – and one that I find to be quite favorable to actually playing games – is the position of the buttons: they’ve moved up on the device. Having removed the clamshell design and restrictive layout, the joystick and buttons on the 2DS are much higher up, and actually creates a far more balanced feel than either of the previous 3DS iterations. We’ll dig deeper into that when we talk about how it feels to actually play games on the device, but it’s definitely an improvement. The actual buttons look more or less the same as the original clamshell models, but button labels on the 2DS are engraved without any color, which makes them a little harder to distinguish. Of course, this is only an issue for people who have never used a DS console before, and it’s one that will fade away after using the console for a period of time. The Home button is changed to be a bit smaller than the other models and the Start and Select button have moved out from below the screen to below the face buttons. The movement of these button is a welcomed change, as I was never a fan of where they were located on the 3DS. Another key design change is the addition of a Sleep switch. While the hinged DS models sleep when closed, this model doesn’t close, so the switch functions in exactly the same way. The lack of hinges does bring two major drawbacks. First, you lose a great deal of portability, as not folding down makes it difficult to fit it in a pants pocket. Second, the screens are exposed at all times, and while they feel sturdy, it’s still putting them in danger when they are in a bag with other stuff. Nintendo does make a case to protect it, but being forced to buy that voids some of the savings from buying this device in the first place. In spite of some of the issues with the design, the 2DS is still a well-made device that I quite like, at least in terms of the way it looks. How does it fare in terms of performance and gameplay? It really doesn’t matter how good the system looks if playing games on it is not an optimal experience. After all, this system is built for playing video games on the go, and if it can’t do that with a high degree of performance, it’s all pointless. Thankfully, that’s not an issue, as it plays both original DS and 3DS games perfectly. Of course, 3DS games no longer have that glasses-free 3D, as I mentioned before, but everything else about the games remains intact. The aforementioned change in the position of the buttons actually lends itself well to playing games, as it creates a more balanced feel, which I found more comfortable for extended play sessions. Another major change that goes a long way towards improving the device is the shoulder buttons. Those on the 2DS are much wider and they feature a curved shape that makes resting your fingers on them more comfortable. They do have a slightly longer travel distance before actually activated, but it’s a small issue, and one that does not alter gameplay much, if at all. The touchscreen performs in the same way as other models, which is to say it works well. It will feel a little different to smartphones as it’s pressure sensitive, but that’s why the 2DS includes a stylus for playing touch intensive games. In the case of Pokemon, where touching the screen is almost completely optional, I found pushing with my finger gets the job done just fine. In other games, you will most certainly be making use of that stylus, which feels similar to other Nintendo DS models. The D-pad feels a little smooshier than the original 3DS and 3DS XL, but it’s not really a hindrance to gameplay, just a slight difference in feel. It certainly should not influence your final decision in whether you choose this model over one of the others, but it’s a small factor to keep in mind. Overall, I actually found that I prefer playing games on the 2DS over the 3DS. I think it feels quite a bit more comfortable in the hand, and the improvements to the shoulder buttons makes a big difference for games that use them. There is more to making a quality handheld system besides the actual feeling of comfort in your hands. A major factor to consider is the battery life. After all, you are going to want to take this thing on the go, and with that in mind, you’ll want it to last as long as possible. The Nintendo 2DS is rated to have slightly better battery life than the original 3DS, with the 2DS sporting 5.5 hours of play time and the 3DS with only 5 hours. However, the 3DS XL crushes both of them, with an estimated battery life of 6.5 hours. In practice, it’s about right, but the 2DS and 3DS actually managed to squeeze out 4.5 and 4 hours of gameplay respectively. The XL averages about 5.5 hours. If long-lasting battery is your first priority, then get the XL, but of course, that model is more expensive. Enabling 3D on either of the DS models that supports it will dramatically decrease battery. Another important factor to consider is the screen brightness, as it becomes quite important during long play sessions in varying light conditions. Side-by-side, the 2DS actually looks a bit brighter than the original 3DS, which is a welcomed change. Next to the XL, brightness is indistinguishable. Another factor with the screen is the glare, and I did notice a very slight difference between the original 3DS and 2DS, with the 2DS producing slightly less glare. The difference is very minor, and to be honest, neither is great when playing games in direct sunlight. In the sound department, the 2DS is a little hit-and-miss. It’s loud enough for most gameplay situations, but unlike other models, it only features a single speaker, so games that need stereo sound will be missing some of the quality. That’s not to say it sounds bad, but next to the other two Nintendo handhelds, the quality definitely falls a little short. Thankfully, you’ll still get stereo sound by using headphones, and if you are playing games in a public setting, you’ll want to use them anyway. Since we are giving away a copy of Pokemon X with the 2DS, I feel that I should mention that this is far and away the best Pokemon game I have ever played. Many processes have been streamlined, such as improving the trainer’s move speed early with rollerblades, and the fact that an experience share now grants all Pokemon in your party the bonus XP. That, plus the fact that game is now rendered with polygons instead of sprites makes this a must-play game for fans of the series, or anyone who enjoys a quality turn-based role-playing game. In spite of the fact that many gamers were perplexed when Nintendo first announced the 2DS, it’s actually a fantastic piece of gaming hardware. It feels great, performs as well as you can expect and it comes with a very reasonable $129 price tag. That being said, given the choice, the 3DS XL is still the best option, and I would actually take the original 3DS over the 2DS just because of the portability factor. Seeing as I am not a child and I am not prone to breaking the hinges, the 3DS fits my lifestyle just fine. However, if portability is not a concern, and you are on a budget, the 2DS is a fantastic option. MakeUseOf recommends: For children and gamers on a budget, the 2DS is most certainly the best choice. Get a 3DS XL if money is no concern. Get a regular 3DS if you want to save a bit of money and the 3D screen is a high priority. How do I win the Nintendo 2DS? This giveaway begins now and ends Friday, November 1. The winner will be selected at random and informed via email. Congratulations, Diane Vescio! You would have received an email from jackson@makeuseof.com. Please respond before November 14 to claim your prize. Enquires beyond this date will not be entertained. Explore more about: MakeUseOf Giveaway, Nintendo. PLease let me win this contest I have wanted a nintendo 2ds for seven years and my parents never got me one for my birthday so please let me win this contest. Ps I am eleven. I really want a 2ds becuase I love nintendo 2d's and pokemon games please let me win. This is my dream gaming console.. I hope I win.. I indeed like this concept. Definetely something I would buy. looks great! i'd like one! I'll let you know if I win :) but seriously, I loved the old DS so this has to be great! yes of what i have heard of about it from this review this is the first i heard of this game. I love the Nintendo Ds!!! I've been wanting one pretty bad! I hope I get lucky and win this contest. Yes, I like the size. The best... classic and modern at time! Yes, I like the Nintendo 2DS. It looks like great fun for hours of enjoyment. yes I like the DS. It is a good portable system. Yes, I do. Great stuff for my daughter. The 2DS looks fascinating, reasonably priced and looks to be something my kids would really love!! yes, would be fun to play with! Yes, I think it's a great design of a somewhat mature handheld for children or young adults that seems very durable and improved from the older designs! YES I LIKE IT. IT'S A GREAT PRIZE! yes my son would Love it!! Like the "old school" non flip game boy approach here! I like the funny look of it! this would be great for my daughter, had my eye on one for a while. My son really wants this for Christmas, he would love this. my boys would love this!! another great product from nintendo! My boys have already broken the hinges on not one but TWO regular Nintendo DS's, so yes, love the 2DS! No more broken hinges, hurrah! I was hoping Nintendo would do this, 3d gives me headaches so I wasn't going to get a 3ds and spend so much. Mischief Managed. I do like the design. It's funny that this hand held seems kind of "retro" to me now. Yes I like it for my grandson ! I do, the design is weird yet appealing. Luuuuvvv Nintendo. luv it, luv it, luv it! Yep, it would replace my DS Lite. Yes, I would love one for my oldest son. I want I want I want I want I want I want I want I want I want I want... did I tell that I want N2DS? I would use it for sure. I've used the original DS quite a bit, and it was very fun. Yes, of course. I'm crazy about it. I love the new 2DS ! Yes, I'm a huge Nintendo fan. My kids are keen for the new Pokemon games, so yes. It looks great. I like it. It's okay. I'm not particularly crazy about it, though. My brother sure likes it! Seems pretty likable, so I'm gonna say yeah, I like it. Yeah from what I've used before its pretty fun. It looks cool and I want one! I love The 2ds. SMASH BROS HYPE!! The Nintendo DS is awesome!!!! Yes what isn't to like!! A friend of Mine had gotten the 2DS over the 3DS for it's affordable price. After hearing it from here and seeing it first hand, I'm convinced at how good the 2DS really is! I would love to get one for myself! I would love to have one after trying it out at the store. I was hesitant at first, after reading your review, I see that it is better for me. I do like it. I like the Nintendo 2DS. I don't really like the 2DS. I love that it took out the 3D function, but I wish it folded! I would love a 2DS. I would especially like to win one, since I can barely make my car note, and can't afford to spend frivolous money on a hand held console. Its ok, I wish it had the hinge to make it more portable though! Yes, the lack of a hinge is kind of a bummer though! Yes, I really like the 2DS seems like I would really enjoy this! sounds like it would fulfill many of my needs :) and i love the sleek design! It looks sleek, but a bit bigger than I would have thought they'd make it. It's a great idea for those who can't afford a 3DS or don't care for the 3D feature. Yes my son would love it. Yes, so shut up and take my money! Yes, I think the 2DS looks good. Though it is a tad on the large size. Sounds like it's well worth a look! I do like how it looks! Just something about it is more appealing. It looks a little less portable but fine for playing at home. The 2DS seems pretty cool. I would like to try the new Pokemon game. As I loved the old ones. Looks like a great solution for kids who are too hard on the 3DS. It looks like a great little gaming piece! 2DS looks great. It could be a little more portable though. Who wouldn't love a cute new nintendo? Hate to miss out on the 3D feature, but the 2DS is growing on me! Do I like the 2ds? YES! I've been avoiding the 3ds both due to price and the fact that the 3d makes me a bit sick. So the 2ds is perfect for me!! I do like the 2DS. I'm not really that into mobile gaming, but I feel left out when people talk about how great Pokemon X/Y or Animal Crossing is. I feel like the 2DS gives me a better chance of being a part of these games without breaking my bank. I think I would love it! They can deliver it to Mexico? I'd like the 2DS more if it followed the same form factor as every other DS model, but I want to play the new pokemons! I love Nintendo, Pokemon and free thing. I still love Nintendo and Pokemon if it's not free. Yes, I love and want the 2DS. I think i like it, looks like the weird cousin of a 3ds but it looks more confortable, i also love to have the chance to play pokemon on it so, tes, i like 2DS. Yes, I like it! Who doesn't love anything free? Hey, and if it's winnable, better. I will definitely get one of these! Cheaper and has the features I need. Yes please. Not really pocket friendly, so not thrilled by it initially. Would have to test it out performance wise to see if it's decent. My daughter would love to own a 2DS and is big fan of Pokemon. I suppose the Nintendo 2DS has some perks and some disadvantages, but it's cheaper and the graphics are similar aside from the whole dimensional aspect of it. I like it, truth be told. It looks like a lot of features and fun. Fo shizzzle ma nizzle. I really like the nintendo 2ds as it brings back the gaming what was on the nintendo DS and DSi. I dont know how I feel about the 2DS. It could be pretty cool though, I'd like to try one! Yes! I think it would be perfect for me or one of my youngest children. I like it... but I don't know how I feel about the screen not being able to be bendable like the NintendoDS. I might like it especially if it's a win. I feel like I need to test drive it for awhile before I decide. I'm not entirely sure, I never owned any of the DS series. However, I've seen a friend use it, and he seems to enjoy the fact that the hinge is no longer there. Can hardly wait for the 2DS!!! I think I like the 3DS XL more than the 2DS. It should work out just fine. no need for 3D. Not just that i like it. but I love it! wanna play Pokemon again! I love the 2DS, it is Nintendo's best idea yet. I think the Nintendo 2ds is a great alternative to the 3ds. I really like the idea behind the 2DS and love the 2DS itself! I want one very badly! I like it! Looks very interesting! I like it and I would like to win one along with Pokemon X! Thanks for offering this chance. I love it, and I know my son would love it for Christmas!!! it looks very interesting and i believe i would like it once my grandson showed me how to use it! From what I red in the above page it seems nice. Tried once, it's pretty good! I've never had a Nintendo portable so I want this. Thus the answer is yes, I like a 2DS. I prefer the 3ds but the 2ds is nice!! Yes, it looks nice. I think we'd enjoy this. Yes! Looks like it could be a good successor to my DS. Yes!! I'm really excited for it, just like I've been for the previous Nintendo DS consoles I own. So this would be AWESOME to win. Yes I like it. Another great product from Nintendo. Yes, I like it very much. It looks great! Looks nice, very compact. Can see taking it everywhere very easily! I love the Nintendo 2DS! this would be great for my son! yes i think i would love it! It looks like one I would like. I think the 2DS looks fantastic! It looks like I would have a blast playing it, and so would my son. I have never owned one or tried one. My and the kids would love this!!! Seems pretty ok. I'm just not sure why they would radically change the design so much! 3D isn't very a good selling point for the 3DS so I prefer the 2DS. It actually works better for my wife, because 3d makes her nauseous, so yes, I like it a lot! I think it's neat! My kids are thrilled! Yes I love this !!!! I do like the Nintendo 2DS. Haha I think my little cousin would like this. Seems like it's not a major game changer, or a major flop. Much as the lack of hinges might make it a little less convenient than a 3DS, I'd love to get my hands on anything that can promise me good battery life and the newest titles! Yes, I like it. Looks neat! I need to try one to let you know if I like it! I am totally in love with the Nintendo 2DS! Yes. The 2ds looks pretty cool! The 2DS seems really cool. I love gaming items like this. I'll know as soon as I win and try it out! 2DS is the BEST! I love It! I have never used Nintendo. Would like to try. I think I will like it. I think I'll miss the smaller size of the hinged model but this one has potential. I have never bought any Nintendo Console, but I would like to ave it for my younger brother and also may be use it myself to see if I can like it or not!! I would love to get it! Love it! Would be so much better for my kids. I think it is a great device, and would like to win this so I can give it to my son. Ooohhhhhh, mobile gaming at my fingertips to keep the kids amused, ESPECIALLY when I'm driving. I'm sold!! My son would love the 2DS. At first I was a bit put off by the shape, but I think it's cool for people like me who really don't care about 3D gaming and just want to enjoy the expansive catalog Nintendo has created between the DS and the 3DS. Yes, I would love the 2DS! I love the Nintendo 2DS!!! Any video game device is a device I like! The N 2DS looks like it would be a fun gaming device. Yes, also like pokemon, gotta catch 'em all ! Would love to give this to my grand kids I am sure they would just love it. I like it. I've been weary of the 3DS seeing as how 3D has traditionally given me an insane headache, so this could be my shot to play some incredible games. Hope can win it for my wife! I wish it had the bigger 3DS XL screens but I do love the idea of the 2DS. From everything I have seen I would love it!! Of course that was a silly question. Really cool. My daughter would love this! I would love to have this!!!! I would love the opportunity to play it! Never had the chance to play one, but I would love to. I think it looks kind of strange so I wonder what it feels like in the hands. Really cool, would love one of these. My son still has the original DS. It would be great to have 2DS for him as we don't like the 3D of 3DS although it can be turned off. I will try it if I have some extra cash on my pocket but the its portability worries me because I am always away from home. Not sure yet, would have to try it out and see! looks a little better, but its still a DSi with a new config. I don't like the design... i still prefer the folding one. However the loss of 3D is a good thing for me as I don't like it and find it annoying. Don't know yet. Never had one. Yes, I think that the 2DS looks awesome and would love to get one. 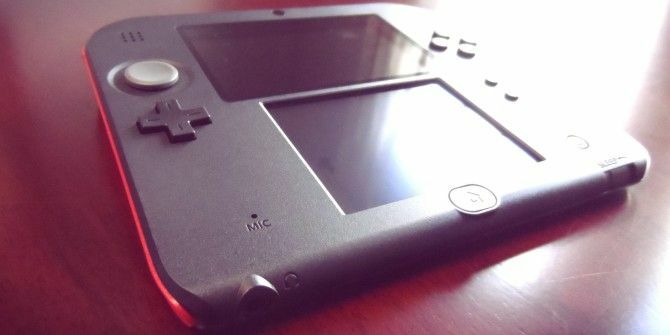 The Nintendo 2DS looks awesome! I so want to grab one badly. Yes, I love the Nintendo 2DS!! Perfect for my son...I was not able to buy him a birthday gift...he is so sweet....he said don`t worry mom, I don`t need anything, I have you! My daughter had her DS stolen. If I win, it's hers! I really want to try it and I think I will like it. That's so awesome! The 2ds looks pretty cool! I love what I see. The look of it is really interesting. I like it. But I will probably give it to a child in my family who will make better use of it. I love the Nintendo DS. I definately covet the Nintendo 2DS! The 2ds was launched on the same day as Pokemon X and Y, and it was thought for kids, but its a nice system, and I would love to have it. My nephew loves it and I would so love to make a present of it to him, his mom is a single working mom and cannot afford one. I think my son will love it! Would love to own this gaming equipment. I do not own one. I don't like it. I love it! Nintendo is classic & I am so glad it's here for another generation for my kids to play! I don't have one, but I was one of the original "Nintendo Kids" and I think my sons would love it! It looks cool, and if it is anything like the dsi or 3ds then it must be great. Yup. Liked it since bought missus one lol. Don't have one, but would like one for my special needs daughter. I can't really say that I like it. It has a mono speaker, cannot shut what leads to many scratches when you don't buy a matching case for it. But it's from Nintendo that's all what counts. Yes I like it, it would be great to give my daughter for xmas!! Yes, I like the Nintendo 2DS and would love to win it. I have never owned a gaming system. Looks nice, plus no intentional headache from the 3D, nice review! i like it but the kids would prefer the 3DS i am sure. Yes my son has been asking for one of these! Yes, and my daughter would love this!! Good gamer system, inexpensive ... what's not to like? Not a gamer, so this seems like a good place to start. The Nintendo 2DS looks like a great Christmas gift. I like that! The 2DS is perfect for me because I'm not a fan of moving parts (ex: the hinges on the 3DS) plus it has a feel that reminds of playing on the Gameboy way back when. I played Pokemon on the original Gameboy, on the Gameboy Color, Gameboy Advance, Gameboy Advance SP, DS and DSi XL and would LOVE to play the 6th gen on a 2DS as opposed to a 3DS! So if it's not YET obvious, I absolutely LOVE the 2DS! I'm also looking forward to "special editions" of the 2DS (I hope they come up with a Charizard version!). #Giddy. We could really "makeuseof" the Nintendo 2ds! Thanks for the chance to win!!! Looks great. About time they did away with the hinges. The Nintendo 2DS looks like an awesome device! The Nitendo 2DS is good for gaming when travelling or away from home. I think it would be better than the 3ds. 2DS is the cheapest way to get my hands on the new amazing Pokemon X and Y. Excited about this new portable gaming device. Love it can't wait to grab one. Die hard fan of pokemon so definitely a YES! My son has the old one, and I'd like to win this one for him. I think is looks great! I do like it: It seems like a great alternative for people who aren't really interested on the 3D options (most of the people I know) and are on a budget. The only thing bothering me is the fact that it can't be folded, but, in my particular case, it shouldn't be a problem. I'm evaluating the ds series for my 4 year old son, I for one think that Its really a good Idea to leave the 3D because I really believe that the disadvantages outweigh the advantages. 1- The games from nintendo are great fun to play, and are much more suitable for young kids. 2- They are portable, we can take it easily at trips, and anywhere basically. 1- Why not have a G-Sensor to play games by tilting the console, namely games like Super Mario Kart, it takes some adaptation to use controls of the DS series. My son already plays some games with my Mobile touch smartphone (Android) and it took barely no time to adapt to it, he plays some games better than me :). In my view the next DS series should be aproximately the size of a smartphone, more similar to the competition, just because it's easier to adapt to. 4 Things I would expect from a new version. 1) Make the slide button less slipperyto the finger(different material, more spongy) or lose it , the main thing I've noticed, is that with sweaty fingers you have difficulty controlling that slide button, because it's very smooth and fingers keeps getting out of the button, my son and I had difficulty testing one at the shop. b) Have One Only screen of touch screen type where the touch function should have a switch to turn of touch response, in some games is usefull. c)Have a 3G sensor, to be able to play games by tilting the device. d)Make the console type more like the competition, and size of about a smartphone. Its more ergonomic, and easier for little kids, the main audience of these type of consoles. With these changes I believe Nintendo would have a better grip on the market , because there games are huge fun to play. I was a bit sceptical because I like the clamshell design, it's the price drop that's really interesting. It means my girlfriend and I stomping through X & Y over Christmas a possibility! Yeah, I'd like to get me one. I would like to win this also. duh. lol So what is the "MIC" actually for and for what games? Yes very like with all the excellence and sophistication. I have the original DS still an haven't gotten any of the newer system yet and well my initial opinion of the 2DS was kinda narrow minded cause of the 3DSXL. However, after reading this article and seeing the amazon page I figure it isn't that bad at all and the design can grow on me. Yes, I like this new model, seems very interesting! I'd like to get my hands on those. I do, I don't like 3d as it it makes my eyes hurt. I love the 2ds and it's new design! Sure! I'd like to give it a whirl! The kid would like it. I like the XL better, but the 2DS is pretty good, too. Yes, I like it. My grandson would love it. Yes, I like to try Nintendo 2Ds. Yes, I like the Nintendo 2DS. It looks like a cool system. Looking forward to trying this handheld system out. Its a hand held game system that plays nintendo games or at least some of them. I have several games and no device - I borrow my children's devices! I think my son would love it! This hand-held looks pretty great. My Friend and I likes to play with Nintendo games. I'm sure we will like it. It sure looks different from my old Nintendo clamshell variety, but I would like it since I would use it at home in the lazy boy. It's not too bad looking. I am kinda wary about the exposed screens though. I do, I love it, I think it's pretty awesome! I think it looks pretty sweet! I like the fact that it plays both original DS and 3DS games. Retro-compatibility is often neglected by some manufacturers. I think the 2DS is great for young children and people who aren't worried about taking it places. I like the fact that it can play DS and 3DS games. I'm not sure about the design, but the ds systems have been great so far. I like the design, price and most of all that it still compatible with 3DS games. Yes, me and my 8 years old daughter. Yes I like the new ds2. Its easier for the younger kids to use. im not sure but I love to try it.! It's alright... I understand what Nintendo is trying to do,but there is no need for a 2DS when the 3DS is capable of playing games in 2D. Yes, I like the design much more than the normal 3DS/3DSXL, as it looks more sleek and resembles a tablet. Nintendo is a very good product that has been around along time. It is fun fun fun! It looks pretty nice. I think the design could be better with folded screens like the original DS, but i love the price. Yes, it is affordable and a lot more comfortable to play. Yes, I love it! My boys have a DSi & they complain that its so small & have been wanting one of these. Thanks for the opportunity to win it! Yes, I like the 2DS. Yes, I like the size and that I can't break a hinge. Yes, I like it & see a need in the marketplace for a gaming console at that price. I don't care what you say. Not closing up is a step backwards. Def' like the price, impressive sounding reviews - Yeah go on then I like it! This is cool. can't wait to win this. Yes I like it and it is on my wishlist. Yes, I am sure my son would like it also. Would be a beautiful gift to my nephew, introducing him to the safe way of handheld gaming! Good idea to bring out a device, for less cost, that allows those to get one that don't care about the 3d screen, so yes, like it (and the idea). Yes sir, my child would loves POKEMON! I t sounds like a good gaming system from your review so I think I like it! Not sure if I like it but my girlfriend loves the Nintendo 2DS! Looks so cool! This would make an awesome Christmas gift! Like it? Naaah... LOVE IT!!!! I WANT ONE! I don't know if I like it to be honest. It's one of those things where you can't tell from screenshots alone, I would need to actually get my hands on it to tell. I like the Ninento 2DS and would like to give it a try! I like it. It's nice. It should do the job it's meant to do. Of course! Little masterpiece in my gaming life! seems like a good little system for those who don't want 3D and who need a cheaper model. Only thing I don't like is that it doesn't fold. The link you provide to Amazon takes you to a page with a price of $154.84 not the $129.00 that you describe in this review. Would you please include where someone can purchase one for the $129.00 price? Oh, and by the way your contest entry box for added chances stopped working after I went to Amazon from your link. No complaint, just thought you might want to check on it. I thought the 2DS looked pretty goofy at first, but it looks like it would be more comfortable to play on than a 3DS. Speaking as a champion for comfort, yes, I think I like it. Never played it before so I don't know. From what I have seen, I would have to agree with the excellent points made in this article. Kids and on a budget gamers should be very happy with this release of the DS. Yes! it would be perfect for my niece! I like it and hope it plays better than the 3DS with better placed buttons. Yes, I like the Nintendo 2DS!!!! I love the 3ds that we had gotten for my son. I would love to have this new 2ds to play along side of him. I love the the nintendo 2DS!!! Its awessome!! Yes, this would be perfect for my son! Of course! It looks awesome and interesting. I want to have it. Not intersted in the 3D anway. Definitely, Yes! Would love to win this! Thanks. Yes, I still have the original ds and play it every night. I'm not sure I'd prefer it over the 3DS, but it's pretty cool. I like this nintendo 2DS! After reading this article, yes I do like the 2DS. I really like the Nintendo 2DS. I think it looks awesome. Would love to win one. its different! Id love to try it out! I think your review is about right - for me 3D is a gimmic, so this is really a decision about design. For younger kids playing in the home then the flat format of the 2DS should work well; for older children or adults wanting to use it on the go then a 3DS probably wins due to the screen protection provided by the folding format. Yes I love it! If I could win it I would really love it. Oh yes (it is free after all - if you let me win, of course! Looks like lots of fun - Yes! Yes I like it for lower price and able to play Ds and 3DS games. For my DSi XL is not able to. Looks like a decent alternative to the 3DS. I do like the 2DS. I like Nintendo 2DS as it is very very fine. I'd really like to win! I like it a lot! Who needs 3D!?! Yes, I do like the Nintendo 2DS. The shape is a little weird. Why not just put one big screen instead of two that look hacked together? Y E S !!!! Would be a fun gaming device. I like the idea of a 2D handheld system but wish it were a clamshell design. I've never played "with it"
I fell in love with Nintendo handhelds since Gameboy Color and hoping to get a 2DS although it does not have 3d fuctions. Nintendo is the game of my childish, i don't think there is someone here who don't want this jewel? I like it because it doesn't have the battery sucking feature called 3D. I love portable gaming device. Nintendo 2DS is one of it. I like to have the most popular handheld console in the world Nintendo 2DS. I like the nintendo 2Ds, choose now asian winners. Yes, I've seen the 3D on friends' 3DS's and it isn't quite as impressive as I thought it would be. It would probably become boring after a while, so the 2DS isn't a horrible alternative. Yes. I'd probably have bought it if I don't currently have a 3DS XL. I wanted Nintendo Ds/2DS/3DS/Xl and I was looking for a giveaway...Finally found it...ThankYoU MAKEUSEOF!! maybe if i leave my old DS and this 2DS at the daycare, they will mate and leave me with a 3DS. in any case, 2DS should be fine as I don't want anyone to catch me playing on this at my age anyways. My girl tells me she wants this! In comparison to the 3DS XL no. I think I'd prefer a 3ds. The 2ds looks funky. But a chance to get one free, with a free Pokemon game? Its good enough for me lol. I really like the 2DS. It's a budget version of the 3DS with no frills. I think Nintendo is catering to the 5 years and younger age group when they opted for a seamless, flat design. The price is also another positive factor for parents to when they do buy a product, and the lower price takes into consideration those parents. All in all I think its a great affordable product, for those feature. It's not for everybody, but when for budget-strapped parents it could be a viable entertainment option. I can still accept its size as it's roughly about the same as the ipad mini. but the thought of not being able to bend it deduct part of its marks already. Though the disadvantage, being able to play pokemon is the plus point! So yeah i like it overall. Yes my cousin would love this. The proof would be in the playing, so I'll have to reserve judgment for now. I happen to like the 3d but I think its a good idea nonetheless. iPad gaming is enough for me, but my kids would love it. Looks pretty lame, especially for the price. Free is the only way I'd ever have one. I like it? Very desire for it? The Fact that it doesn't fold is a turn off but I'm not gonna judge till I try it. My cousin had one and i really liked it,wish to get one ! I think the folding thing is not something to take away just to claim something is a new product. There are other ways they could have redesigned it. I like Nintendo's handheld gaming consoles. I like the idea of a budget priced system like the 2DS. To be honest, I like the concept of Being Child Proof, but I dislike the fact of no angle. I really don't mind 3D, because it's not always needed. So, I like both 3DS and 2DS. As for the Pokemon Games, this isn't pokemon to me anymore, this is NEO-Pokemon, it's revolutionary, can't wait for Hoenn, which the X and Y tell you, it's the next Pokemon Game. I wish they had just made a 3D less version, but kept the hinged design. It protects the screens and allows easy storage in your pockets. Unless you're wearing sweat pants, the 2DS is not going to have any chance of fitting in your pocket. Looks OK but I'd have to see one in the flesh to be sure. i dont like pokemon x cos i like the older game style but i know i will love it which is horrible. I like it, but it does seem a bit strange without the folding capability. I don't know enough about it to make an informed judgement at the moment. It seems like an ok device. I would have thought the screens would have been larger, but for cost I see why they went smaller. I wouldn't mind having one around. I like the 2Ds, but I wish it had hinges. Considering that the trend of slim smartphones with compromise on battery size not going away in the near future, I think the 2DS makes for a good enough mobile gaming device. It's kinda cute, and I think 3D was never that important so, yes, I like the 2DS. Yes! I like the Nintendo 2DS. Of course! I don't know why there are people who don't like it. Do I like the DS2? I haven't had the pleasure, but I hope to soon! Too much for my pocket. Pun intended. I have gigantic hands, so moving the buttons up should make a huge difference! Seems like a good option for infants if you ask me, but who knows may be it'll turn out to be good. On a second note, you guys should have given away Pokemon Y with the red 2DS, would've made it so much better! Yes I like it, you can play regular and 3ds games...not a whole new game format! it looks pretty solid though, seems like it would be good. My first impression of the 2DS isn't good, but I've checked some reviews who say that the design is actually 'innovative', so I want to try myself how 'innovative' it is. Great idea for kids. Mine have managed to break the hinges on 2 of the regular style of DS. I'm honestly not certain how I feel about the 2DS. I would like to get my hands on one and try it out and see how I feel about it then. I like the design better than the original. Can't see 3d real well so yes I like the 2ds. It looks less portable, but more durable. I like it. It looks cool, so yeah I kinda like it. Yes I like it, always nice to have a decent portable system. Yes, but still hesitant to buy one. I like the Nintendo 2DS. I also like the new Pokémon games. While I am a fan of the price, I would prefer a more portable gaming device. That being said, though I have not really messed with the DS line of handheld consoles, I do like it and the style of it.